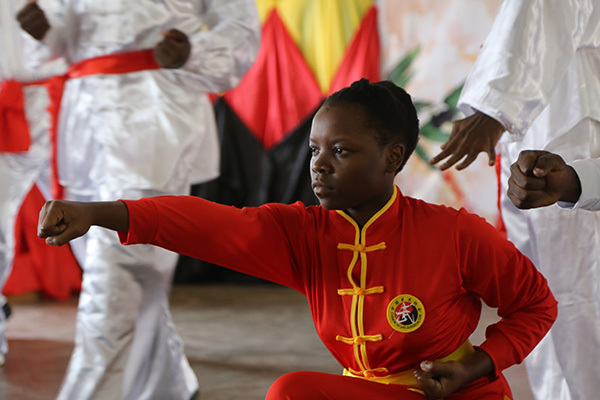 While singing traditional Chinese folk songs and giving kung fu performances, Uganda's first batch of Chinese-language teachers celebrated their graduation in Wakiso on Dec 20. A total of 33 teachers graduated, 29 of whom passed proficiency Level 4, meaning that they can easily communicate in Mandarin without the help of an interpreter. They will teach Chinese in secondary schools. Their graduation laid the foundation for the language's teaching in the East African country on a large scale. "We have learned a lot about Chinese culture," says Jackeline Akello, who's one of the new teachers. Qian Mingmin, one of the Chinese instructors, says the students have acquired the necessary skills for teaching Chinese in local schools. She says they'll do follow-ups on the new teachers after they are assigned to their posts. For more Chinese learning in 2019, please click HERE for more details or contact at study@cuecc.com.